A Halo-themed touring theme park is set to tour the US this year, offering fans a chance to step into world of the hugely popular Microsoft game franchise. 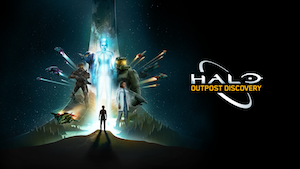 Hundreds of game stations will be available to play, along with themed panels, which offer the chance to meet the creators, special guests and learn how the Halo universe is made. Herschend Live, one of the world’s leading attraction and immersive experience creators is behind the event.